Is Kye Kelley Gay ? Discovery Channel's Street Outlaws has become in everyone's favorite list these days and it's all because of all the talented and enthusiastic racers on the show. As obvious, the show is all about the cast members showing their skills in street racing and their challenging driving skills. The very famous Kye Kelley also gained all his fame and a huge sum of net worth as being the part of the same show. Kye Kelley is dating his girlfriend Lizzy Musi. She is the daughter of the famous engine builder, Pat Musi. Her family owns the Musi Racing Engines shop. The new couple is so much in love as their affection is quite clear looking at the posts they share via Instagram posts. Rumors about their relationship spread at first when they shared a couple of images on social media. Later Lizy made things official calling Kelley as her 'boyfriend'. Previously, Kelley married his first wife Alisa Mote in 2015. The pair started dating at an early age and soon chose one another as husband and wife. They have a daughter named Kenadeigh Alexa Kelley. Sources say that the couple has a second child but details about their kid are still under the radar. Though the two were perfect for one another in the beginning, they divorced after two years being together. Some sources estimated that the net worth of Kye Kelley is around $500,000. His salary in Street Outlaws is $150,000. Kye Kelley Vs Daddy Dave for $10k, check out the video! Street racer Ryan Martin of Street Outlaws has a net worth of $600,000, Big Chief with $2 million, and Daddy Dave with $900,000 and a salary of $20,000. In 2015, he received a cash prize of $16,000 in a car race in Texas. In another car race in Oklahoma, he won $6,000. Kelley was born on 19 May 1987 in Mississippi. 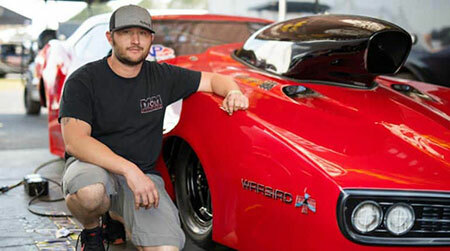 He has a keen interest in cars and street racing since he was 14 years of age. "There was an old black guy down the road from my house named Otis, and everyone would meet up there on Sundays. We’d have 50 or 60 people out in the yard, boiling peanuts, racing, and hanging out." Kelley completed his high school education with a partial scholarship. Though he attended junior college, he didn't have enough money to finish his education. Basically, he races cars and that's the way how he earns for a living. He rose to prominence since his first race in Street Outlaws in mid-2014 on Discovery Channel. The series premiered on 10 June 2013 with its 10th season going on at present. American car racer Kye Kelley is currently dating Lizzy Musi, the daughter of famous engine builder Pat Musi. 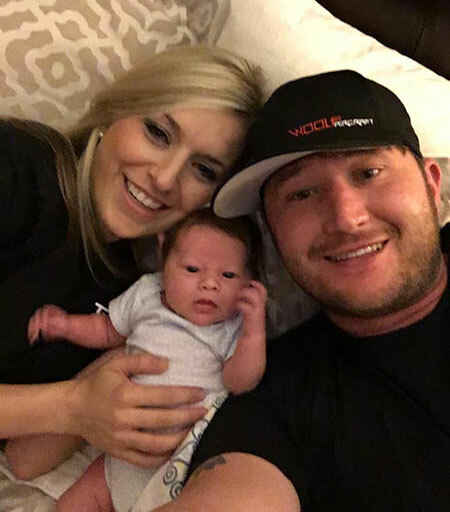 Kye Kelley married his wife Alisa Mote in 2015 but they parted ways two years after living as a husband and wife. They have a daughter together. She is the daughter of famous street car racer Kye Kelley. Her parents divorced in 2017 ending two years marriage.